After I sold the Buick, I was without a car for several months. I was getting ready to go back to school full time. I told myself that I needed something small, economical, fun-to-drive, and possessing the reliability of your average anvil. Of course, I then went looking at MGBs and Alfas. 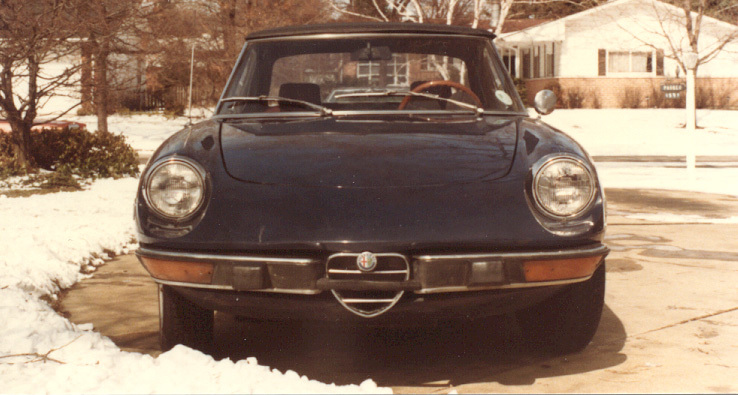 This was the first Alfa I looked at. The steering was tight, the oil pressure excellent. There were a few things that needed attention. The speedometer didn't speed and the heater didn't heat. I had the car inspected by an Alfa-trained mechanic at the local Ferrari dealer in Lake Forest. The only surprise in what they found was that the U-joints were going bad. They were right, but this proved to be an easy fix. I bought this car in early 1984. My father said at the time that he thought I was out of my mind. After a couple of years he begrudgingly admitted that I had had far fewer problems with the car than he thought I would. But he still thought I was out of my mind. I kept this car for almost five years, and it never failed me. 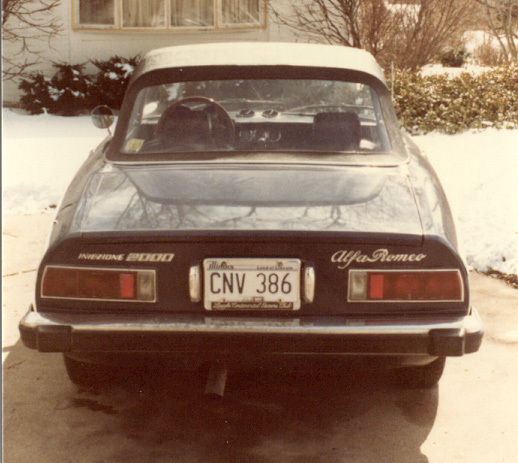 Dollar-for-dollar, this was the best car I've ever owned, and one of the most fun to drive. Unfortunately, Italian cars of this vintage would rust if left out in the morning dew, and this car was driven year-round. If it hadn't been disintegrating out from underneath me, I would most likely still have the car today. I would like to find another one, someday.